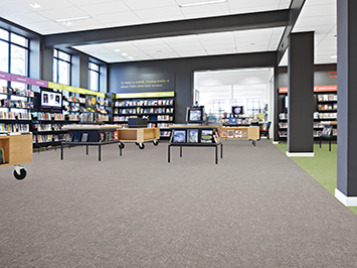 Flotex Linear textile flooring represents a comprehensive choice of five linear designs in various colourways that complement commercial and educational environments, but also deliver playful effects for leisure, hospitality or retail spaces. 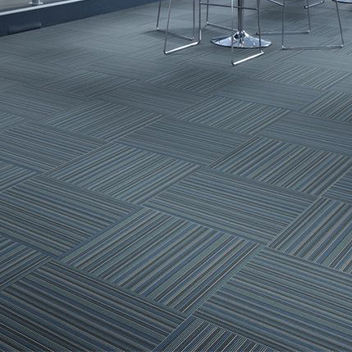 Selected Flotex Linear ranges are available in both sheet and tile. Nature's technology combined with sophistication and style Modular flooring is continuing to increase in popularity as tile and plank formats allow the specifier to create stunning floor designs ranging from colourful and complex layouts to minimal, sophisticated aesthetics which use the shape and pile direction of one colour to create the floor pattern. Ground breaking both aesthetically and technically. The Flotex Sottsass collection is the result of a creative collaboration between Forbo Flooring and the Italian design studio, Sottsass Associati responsible for the famous Memphis Design trend at the end of the last century. Why Choose Flotex Flocked Flooring? Flotex Flocked Flooring is a unique textile flooring that combines the hard wearing & durable characteristics of a resilient floor with the quality, warmth and comfort of a carpet. 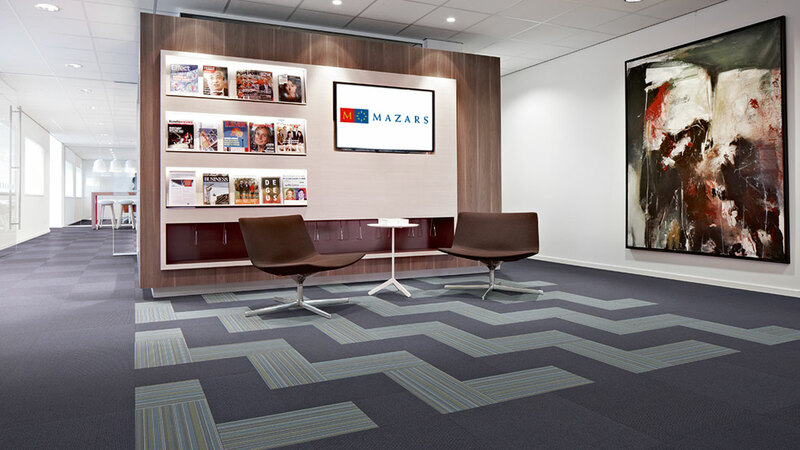 Flotex is available in sheet, tile and plank formats. Flotex is made up from a solid vinyl, reinforced base with a densely flocked surface of nylon 6.6. fibres, that are anchored firmly into the base layer. 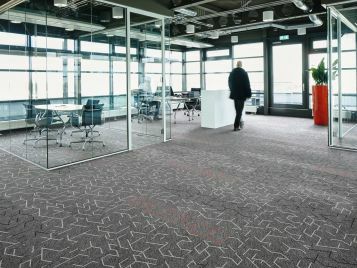 It is extremely dimensionally stable and has the optics of a textile floor covering, whilst being as functional, durable and easy to clean as any resilient floor covering. Discover the toughness and durability of Flotex which comes as a result of the 80 million nylon 6.6. fibres per m2, while experiencing the quietness and comfort normally only associated with a carpet as a result of the impervious cushioned backing. 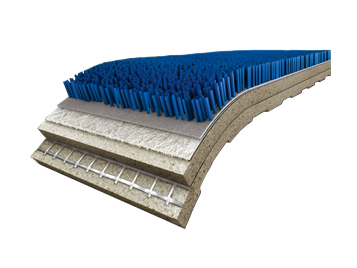 The nylon fibres not only perform in sound absorption and comfort, they also capture allergens and fine dust from the air, all of which they effortlessly release in any cleaning action in both dry and wet conditions. Through its, construction Flotex is protected against mould and odours whilst keeping up its appearance, as the floor restores to mint condition after every cleaning action. Flotex provides both low in-room impact noise performance (class A) as well as good impact sound reduction (>20dB), meaning a quiet room and a quiet building. Flotex also meets the AS 4586:2013 slip resistance classifications for use of flat surfaces and ramps. 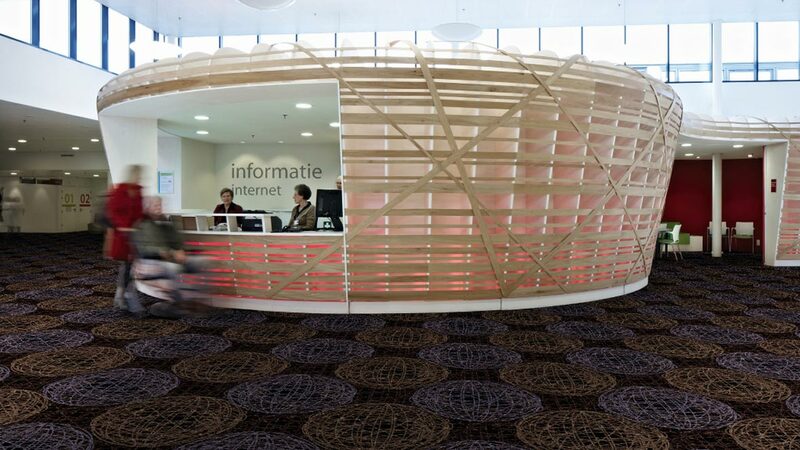 Flotex's unique combination of design flexibility and high-performance functionality make it well suited to a wide array of environments, including Leisure & Hospitality, Office, Education and more. Forbo’s innovative online Room Planner allows you to drop Forbo's Flotex flocked flooring into a selection of room shots. Branding is one of the key elements of being a successful retailer. 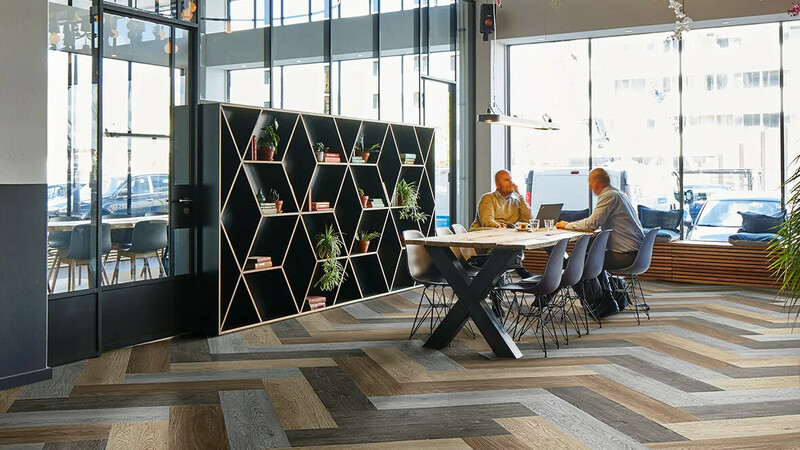 Flotex and the Forbo product portfolio offers a diverse range of coordinated flooring solutions that allow for creative personalisation of a retail space. The non-fray construction of Flotex makes it ideal for logo designs and as Flotex tiles can be installed with tackifier, they provide the retailer with maximum flexibility for layout changes of the floor space. Whether fashion, electronics, food gifts, literature or department stores, Flotex flocked flooring will meet your needs both aesthetically and functionally. 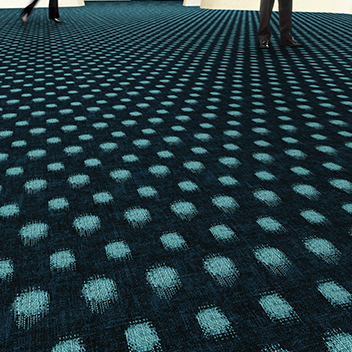 Flotex can offer a wide range of commercial and office sector-friendly designs. Stimulate and motivate staff with an uplifting design whilst giving them a workspace that is quiet and comfortable - Flotex offers impact noise reduction of up to 20dB. 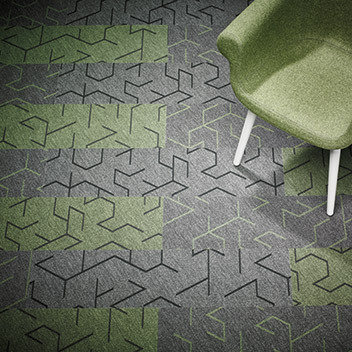 It is also the first textile floor covering to receive the prestigious Allergy UK Seal of Approval™. Research suggests that at least 5.7 million people in the UK could be allergic to their workplace. 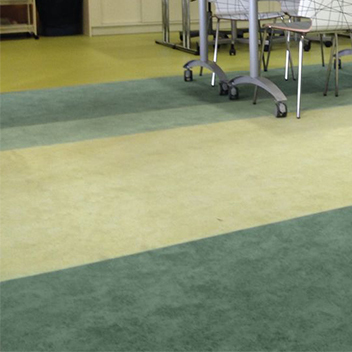 Flotex traps and releases twice as many allergens compared to conventional carpet when vacuumed, creating a better indoor environment for employees. 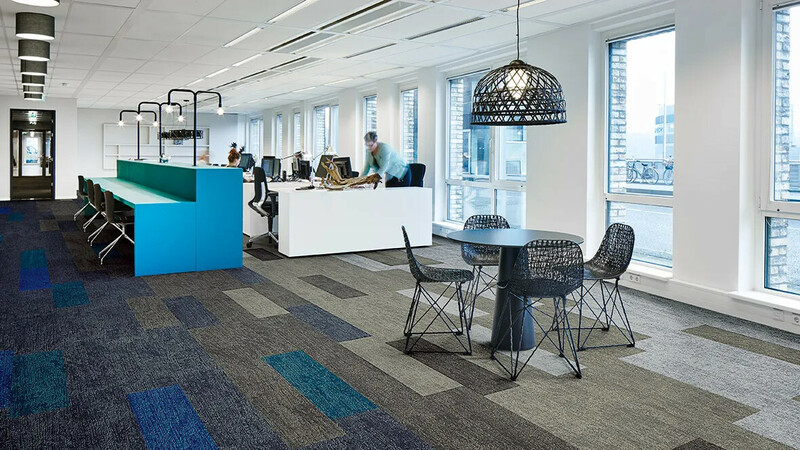 Modular flooring is the preferred format in offices due the ease and speed of installation, storage, the flexibility of design and the use of raised access floors. Our Flotex Colour & Linear ranges are all available in tile format. You can also choose from our newest range, Flotex planks. Our tile & plank ranges offer a variety of installation methods to create a classic or contemporary floor plan. Hotels, gyms, restaurants & other L&H spaces should make you feel welcome and reflect the unique identity of the venue or brand. Flotex offers a very broad colour palette and multiple formats making it ideal for creating a distinctive and individual flooring design yet retaining all the practical benefits of excellent acoustics, durability and cleaning properties. 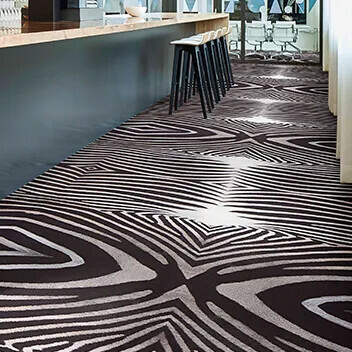 Our digitally printed collection, Flotex Vision and our designer ranges offer over 500 designs and colours for those looking for an impactful flooring design. With over 70 million fibres per square metre, Flotex has a highly dense pile so our unique digital printing technique can achieve an image quality of up to 650dpi – perfect for creating that ‘wow’ factor! This flocked floor covering gives you all the warmth, slip resistance and sound absorbing properties of carpet, yet it can be cleaned using standard cleaning equipment – ideal for heavy traffic areas which are put through their paces by a constant stream of guests. Healthcare institutions should be caring, tranquil environments. Colour and design can help to create comforting environments that aid the well being of patients and softens the appearance of the clinical environment while still meeting all the required performance attributes, including cleaning, maintenance and hygiene. Being in a healthcare environment requires a surrounding that feels as comfortable as possible so that it can contribute to a healing environment. In aged care and assisted living, the homely feel is key to create the right atmosphere for all residents. Our Flotex Naturals range offers true to life wood, stone and ceramic designs perfect for creating a comfortable and familiar space. •Flotex tiles contain 67% post-industrial recycled content and Flotex sheet contains 22% post-industrial recycled content. •We have eliminated excess packaging from jumbo rolls of Flotex, which has cut our cardboard usage by 50 tonnes per year. •Of all the electricity we buy, 100% comes from renewable sources. This means our Flotex production sites are part of an effective environmental management system and achieve ISO 14001 certification. •Flotex is 100% waterproof which means you just need water and standard cleaning materials for an effective clean. You can also steam clean Flotex when hygiene standards demand it. •Flotex benefits allergy sufferers and has received Allergy UK's seal of approval. It releases twice as many allergens on cleaning than standard carpet. To find out more click here. •Flotex contains an antibacterial treatment to inhibit bacteria such as MRSA and E-Coli, which also helps to prevent the development of stale odours. •We can collect installation off-cuts from our Flotex floors and recycle them back into Forbo products at our plant in Ripley, Derbyshire. In circumstances where the design of the entrance system is inadequate for the level of traffic or unsuited to the type of soiling entering the building, dirt and moisture may be carried onto the surface of the interior floor covering. Flotex is able to `hide' soiling to a greater or lesser degree depending on its colour and design. Using objective testing methods, we have graded every one of the Flotex designs on their ability to hide `general' dirt. 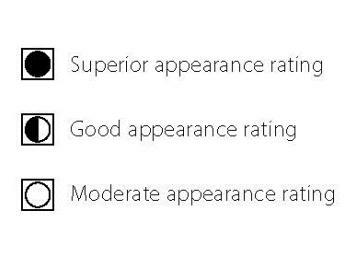 The result of these tests is a soiling classifcation which is shown alongside each product reference number.